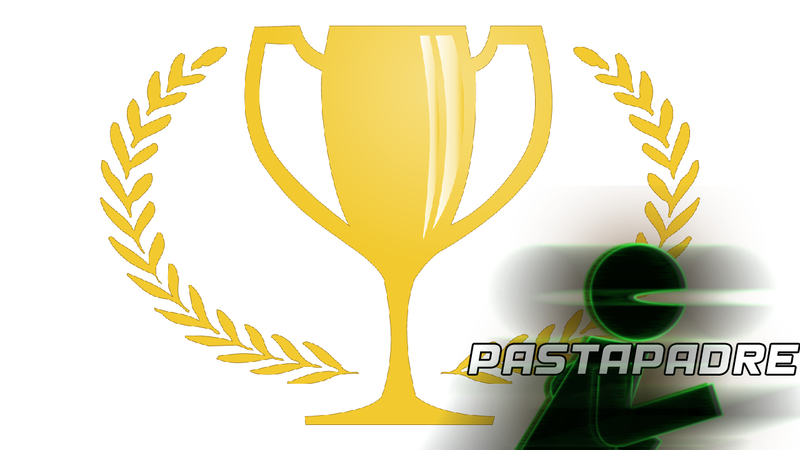 After weeks of collecting votes – the total of which exceeded 33,000 – the announcement of 2016 Pastapadre Community Awards winners conclude with the final 4 of 12 total categories examined. Here are the winners of Sports Game of the Year, Best New/Non-Yearly Sports Game, Best New Feature, and Best Racing Game. As suspected there would be no one sports game to run away with the award in 2016 but MLB The Show 16 found itself on top in a competitive race against a rising challenger. The same outcome occurred with the Press Row Podcast Sports Game of the Year voting last month. This is the second Community SGOTY Award for the MLB The Show franchise which also won in 2013. The Show is arguably the steadiest series in the genre, with excellent gameplay and authenticity, reliable Franchise and Career modes, and a fantastic Team-Building mode in Diamond Dynasty that has also proven to be the most accessible compared to its peers. In second place was Madden NFL 17 with 31%. That’s up significantly from the 13% that Madden NFL 16 received last year as it’s clear the trajectory of the series as a whole is trending upwards. Madden 17 did well by focusing on special teams where some of the most exciting plays in football are made, while avoiding a reliance on gimmicks and instead addressing issues head-on even if it wouldn’t necessarily be flashy improvements for marketing purposes. Where did the gains for MLB The Show 16 (+15%) and Madden NFL 17 (+18%) over the previous year come from? NBA 2K17 (21%) saw a drop of 26% from when it won SGOTY with 2K16. A more frustrated or disappointed sentiment towards the game could be seen throughout the awards voting even in areas where it continues to excel. 2K17 failed to win Best Gameplay for the first time since 2012, a run at a third straight win in Best Career/Story Mode was prevented by FIFA 17, and its share of votes in Best Presentation and Best Franchise dropped considerably despite again winning those respective categories. In the only major sport that involves competition, the two soccer games rounded out the voting with FIFA 17 collecting 8% and Pro Evolution Soccer the final 6%. One clear trend that has emerged from community voting is in the direct correlation to perception regarding gameplay. In 6 of 7 years, the game to win Best Gameplay went on to also win Best Game. The only other award won by MLB 16 was for Team-Building Mode. Gameplay impacts pretty much every aspect of a sports game, and when it’s excellent consumers have shown they’re willing to overlook other flaws and deficiencies at least to a certain extent. Always an interesting category, with some years stronger than others, UFC walked away with the award by delivering a product that was far more satisfying for fans of the sport along with more content in the form of a deeper roster and new ways to play. For Casey Powell Lacrosse 16 (30%) it was a very promising showing given that lacrosse is very much a regional sport. The first current-gen attempt at it was found to be fun and accessible even to those who may not be intimately familiar with lacrosse. Steep (23%) offered the most out of the mountain sports games last year with an open-world setup and four different ways to get down the mountains. This category is always interesting because it often features innovation and helps differentiate a particular sports franchise from others. The weekly commentary updates for Madden NFL 17 came out on top, with voters recognizing the effort that went into the audio team at Tiburon recording new lines with the commentary duo of Brandon Gaudin and Charles Davis throughout the season. Next in line were two features introduced in NBA 2K17 for its Franchise modes (League Expansion 26%, Start Today 15%). The daily ratings changes from Inside Edge in MLB The Show 16 (13%) and KO Mode in EA Sports UFC 2 (5%) rounded out the field. It was a landslide for Best Racing Game despite an incredibly strong set of contenders that as a group necessitated this new category. While F1 2016 (19%) and DiRT Rally (9%) have their share of enthusiastic supporters, Forza Horizon 3 was far and away the widest-reaching game of the group. It appealed to arcade and racing enthusiastics alike, while the others were more niche but delivered what those fans were seeking out of them.